Choosing Life: My Health Journey Continues. . . Illness and wake-up calls come when you need to listen to your body, your mind, and your soul. So when I finally listened to what my body was saying a few weeks ago, I went to the doctor who diagnosed me with bronchitis. But 10 days later, I realized that I was still in bad shape and getting worse, so I went back only to receive the same diagnosis and a change in medicine. AND this time I realized that what I needed more than anything else was to stop and really rest. But then something in the report caught my eye. As a past runner and someone who is totally conscious of my health, I am so aware that something has to change; I’ve known this for a very long time. In fact, I started a serious health journey 45 days before my 45th birthday. That journey was amazing and changed my relationship with food. I took off nearly 65 lbs and I have kept nearly every pound off for over 6 years. But now I need to begin again and take the rest of my weight off. As someone who is basically healthy, I strongly believe there is no excuse for “obesity”. This isn’t about looks (except that I HATE my double-chin); this is about becoming the healthiest that I can be. In fact this entire year has become about becoming the healthiest I can be. Needing to have back surgery in early April was the first very loud message, but then there were others. So with that in mind, I am actively taking the words of my dear soul sister, Arlene Berger and the Torah, “Choose Life” (Deuteronomy 30:19). If I want to thrive and to be the healthiest that I can be, I have to consciously life into my realm. I love knowing that while Arlene and I live in different cities, we are on this journey together. I have 123 days or 4 months between now and my 52nd birthday. And I have goals of what I want for my body, my mind, and my soul. I do believe that light is surrounding each and every step of this journey. This health journey is not only about weight, although I do need to manage my weight better in order to be one step closer to better health. There is also such beautiful spiritual and emotional work that is calling my name. As I own my health journey, know that what is listed, is some of my current soul work and some new things based on my doctor’s notes and his feedback when we met this past summer. My goal is to be the healthiest I can be – body, mind, and soul. And while I am being transparent, I’d love to have your support, but I am conscious that too much good advice can be a bad thing. If I let you know that something I am choosing to do is a non-negotiable, please don’t try to convince me that I am wrong. Prepare three new vegan recipes a week. Take time to enjoy living a more healthy lifestyle. No added sugar to my diet. I will continue having fruit and sometimes fruit juices with no added sugar. I know this has sugar, but I am doing it anyway. Allow for more silence in my life. Breathe a little deeper. One of my favorite quotes by Franz Kafka is “Writing is prayer.” With this in mind, I want to surround my life with more spirituality through my writing. Exercise more – this includes walking 7-10 miles daily and/or finding a piece of equipment to do daily at home. I am thinking about an elliptical. Thoughts? Live my truths without apology. Allow for my authenticity to shine. By choosing to do this holy work, I am choosing to fuel my soul. I guess my soul sister can’t tell me I am ignoring her wisdom! Last night I drummed. I drummed from my soul. I drummed hard for over an hour. With each beat I found myself spiritually at a higher madrega (level). I love my drum; I love to drum. When I drum, my entire body and and mind leave all thoughts behind and all comes to peace for just a moment. When I drum, the universe as we know it ceases to exist. In that moment of letting go and being at one with my drum, I become a little more whole as a human being. When I drum, I am a alone, but I am never lonely. In fact, I seem to feel full of life; every nerve ending feels connected to something outside myself. 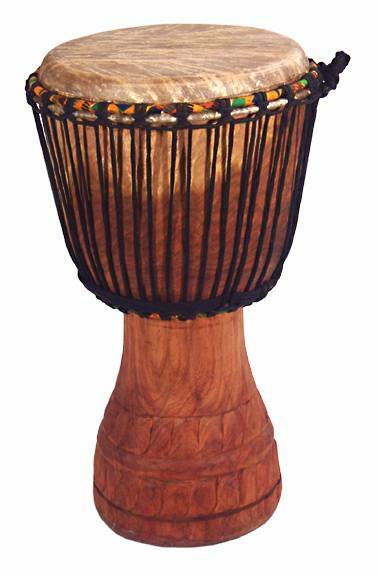 Last night, I was blown away at the end of my drumming when I realized that my younger son had kept his door open and the dog was curled up next to my foot which was holding the base of my djembe. As I stopped playing, both my son Dovi and Maddy, our dog, expressed dissatisfaction that I was done. My hands were sore because not only did I play with amazing intensity, but I was also breaking in a new head to my drum. Both creatures 🙂 wanted me to keep on beating my drum. Drumming rocks my world and keeps my heart beating; drumming keeps me in touch with what’s important. Drumming puts a smile on my face or allows me to leave reality behind for just a moment. There is nothing professional about my drumming; I just love doing it. May each of us take time to find our rhythm, to find something that allows us the space to let go, to be free. Every one of us has stories to share. While stories might have clear story lines; reality and relationships are rarely that simple. Very little in this world is black or white; gray flakes are scattered everywhere. Ten years ago, my father died. He was kind and loving; he was the most amazing storyteller I knew and he never met a stranger. My father was also weak and emotionally unable to keep me safe as a child. And somehow, I learned to detach from that last part of the story; I learned to love him for who he was and to value the endless gifts he did give me. In order to have a relationship with him, I chose to de-emphasize the struggles. Tears trickle down my face when I recall the torment that my father suffered as he dealt with his own demons. Financial, emotional, and physical challenges plagued him from my early teen years. I wonder if he knew just how horrible my mother was to me; he should have seen the bruises around my neck, the black eyes, or the many cuts. Somehow, I am not sure he realized how bad it was; he was never home and when he was, he hid downstairs. Just the same, he did have some clue, if anything; he knew the realities that surrounded my mother’s physical and mental life. At the same time, the nature of my life with my father gave me the foundation for who I became as an adult. I love people; I generally get a long with most every soul that I meet. I walk down the street and make friends with homeless people, animals, and children. My 14 year-old son, Dovi, frequently asks me if someone I just met has become my close friend. And for that moment in time, the stranger becomes my closest confidant or more than likely I have just heard their life story because I was willing to listen. Music is part of my daily life. I listen, I sing, I chant, I drum and on a good day I can hold a tune or rhythm and on a bad day, I enjoy myself nonetheless. Dad used to own record stores and a wholesale record house. As I got older, my dad would let me work with him and there I would find friends and have a good time being surrounded with music and people that loved music. My childhood had tolerable moments because of my father’s profession; when his business was able to sustain our family, I was a little safer. I loved that his work got me out of the house and that I could work with him too. During the weekends and sometimes the summers, my father and I would go for long drives. We would eat whatever cravings I was into that month; we would sing the popular hits, oldies, and anything that was playing on the radio. We would laugh and share stories too. When we were together, it was mostly great fun; the dark shadow was close by, but it didn’t detract from our time away from the house. When we were working, driving, and just hanging out, we had fun. Dad taught me how to smile, to share stories, and to live in the present moment. He also taught me how to live when darkness loomed close by. I don’t think I would be able to navigate the world or go with the flow the way I do if I didn’t have my father as a role model. Yes it is sad that he stayed with my mother, but perhaps he felt like he had no choice. I can understand that. It wasn’t good for me, but in the end I made out OK.
My hope is that I take all the wisdom that was part of the man I knew and treasure it; and that I acknowledge the realities, but let them go. Peace comes from knowing that I can do things differently than my father. So, I will quietly (and sometimes loudly) navigate this world and I will do the best I can do with the tools my father gave me. Ten years later, I think I may miss him more now because I have learned to let go of some of the pain and to treasure the memories. I also believe I am a good storyteller because I was blessed to hear my father tell stories to every person that crossed his path. May Morry Bloomberg’s memory be a blessing for good.